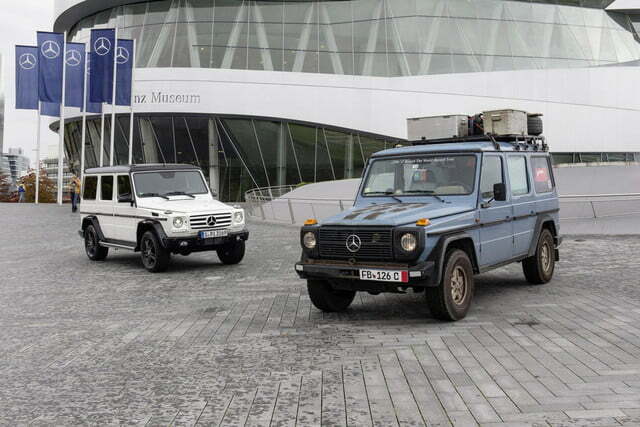 It’s hard to believe the Mercedes-Benz G-Class has been with us for 35 years. Who would think a converted military vehicle with the aerodynamic properties of a house would still be so popular? 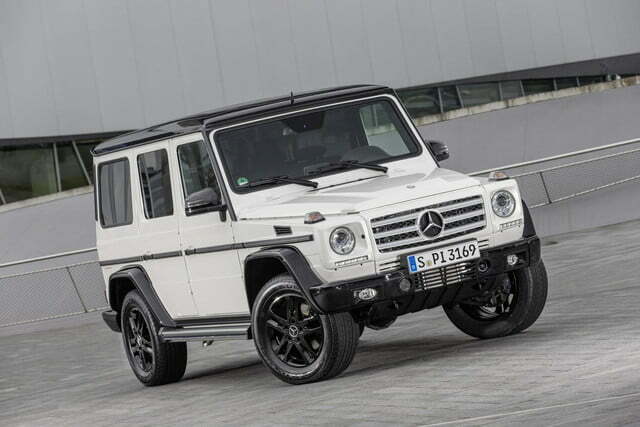 Also known as the Gaelaendewagen, the G-Class entered civilian production in 1979, and has ridden a wave of SUV popularity to become a fixture in the Mercedes lineup, spawning AMG hot rod variants and even an apocalypse-worthy six-wheeled version with a wood-lined pickup bed. 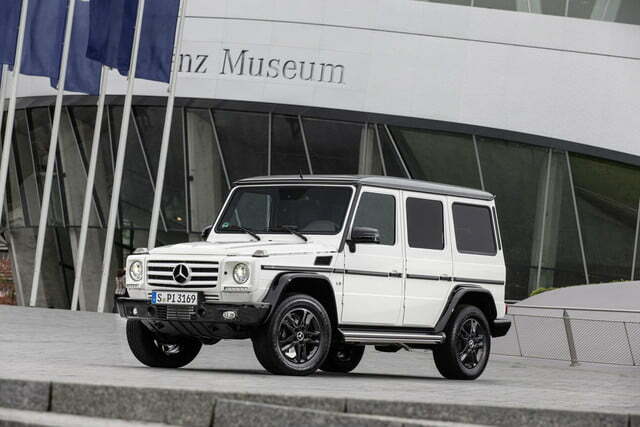 Mercedes is celebrating the G-Class’ longevity with an Edition 35 model, which features a handful of visual cues meant to accentuate styling that hasn’t changed much in those 35 years on sale. The Edition 35 gets its own 18-inch alloy wheels finished in Obsidian Black Metallic paint, and the vehicle’s body cladding gets the same treatment. 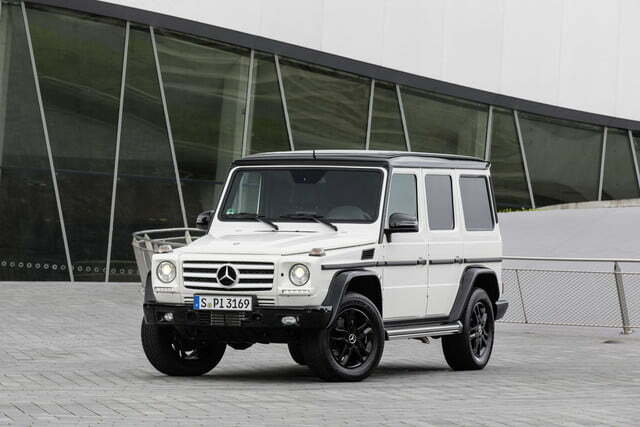 That creates a retro style contrast to the available Designo Mystic White or Palladium Silver exterior hues. Mercedes will also let customers black out the entire exterior, for a stealthy-yet-sinister look. The Edition 35 also comes standard with Sport and Chrome appearance packages, which add AMG fender flares and plenty of the shiny stuff. On the inside, the special-edition G-Class gets two-tone black-and-white or single-tone black leather upholstery, both with red contrast stitching. Even the dashboard gets covered in leather, and drivers pilot this beast using an AMG sport steering wheel. While Mercedes hasn’t announced a U.S. version, the Edition 35 will be available in Europe as either a G350 BlueTEC with a 3.0-liter turbodiesel V6, or G500 with a 5.5-liter gasoline V8. 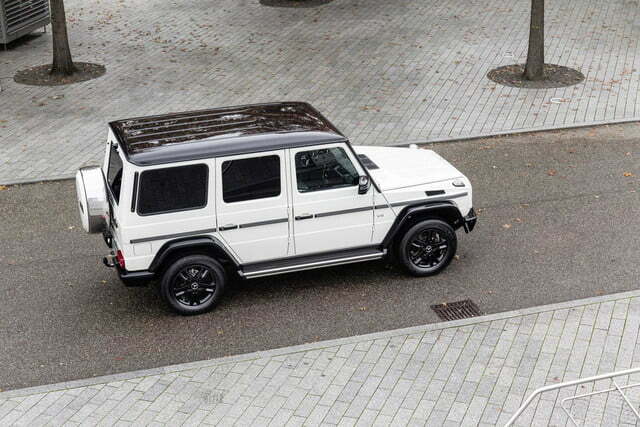 This may be one of the last new iterations of the current G-Class, as Mercedes reportedly plans to relaunch the model in 2017 with a more conventional design. Will that successor endure for 35 years?